'We will try to be competitive in all the conditions. 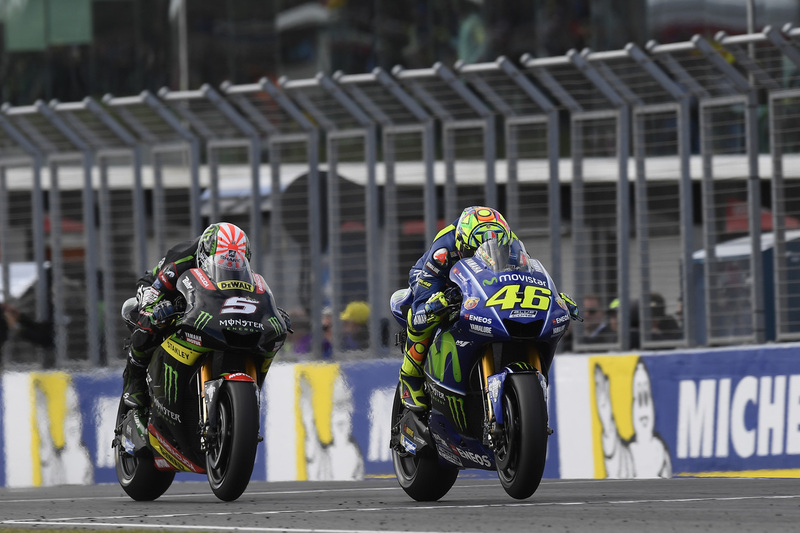 In the wet this year I am not very strong like last year' - Valentino Rossi. Valentino Rossi says a repeat of last year’s wet race at Sepang is a distinct possibility, although the Yamaha rider is not as confident about his prospects in the rain compared to 2016. Rossi finished as the runner-up in Malaysia last season behind Andrea Dovizioso and arrives at Sepang in fine form after battling his way to second place at Phillip Island, where he returned to the MotoGP podium for the first time since Silverstone. The Italian expects a mix of conditions over the weekend and has stressed the importance of being prepared for all outcomes. Rossi overcame a broken leg to make his comeback at Aragon and the 38-year-old said he worked extra hard during his recovery with the demanding run of three successive flyaway races in mind, which come to an end this weekend at Sepang.